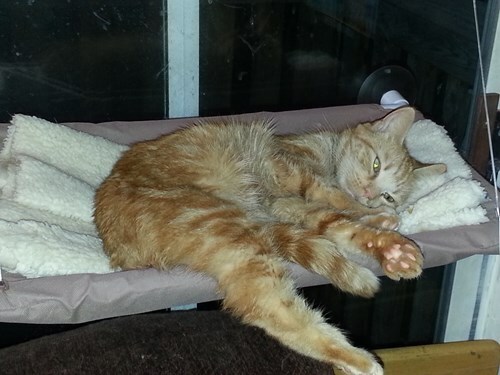 Small, female, orange Tabby cat snuck out of house late Saturday night. She is missing some hair at the base of her tail. Her family misses her desperately.